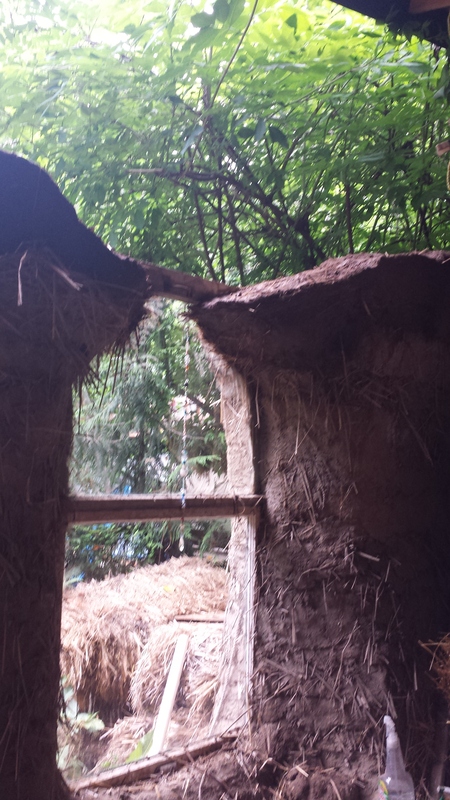 There is more than one way to build a cob wall. Most mix up a batch of cob then form bread loaf sized “cobs” that are carried to the wall and squished down. We make fairly wet batches, scoop it into the wall by the armload, then one of us walks on it to smoosh it down while the other pushes and sculpt the sides. By the time we get all the way around, the cob is firm enough for the next course. 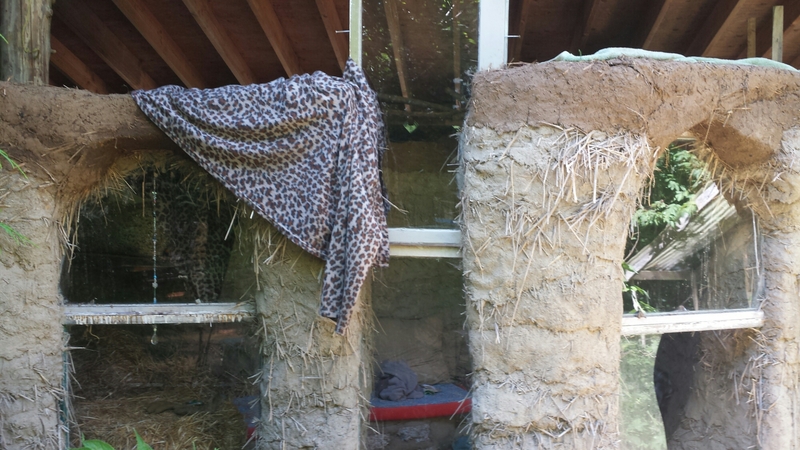 Cob walls are two feet thick at the base and slightly tapered at the top. Each layer is “dibbled”, which means poked with holes on the top with a finger’s width stick. Each of our batches add about 10 inches of height and 3 feet length. So, we have got some work to do. Windows and doors are cobbed in with “deadmen”. 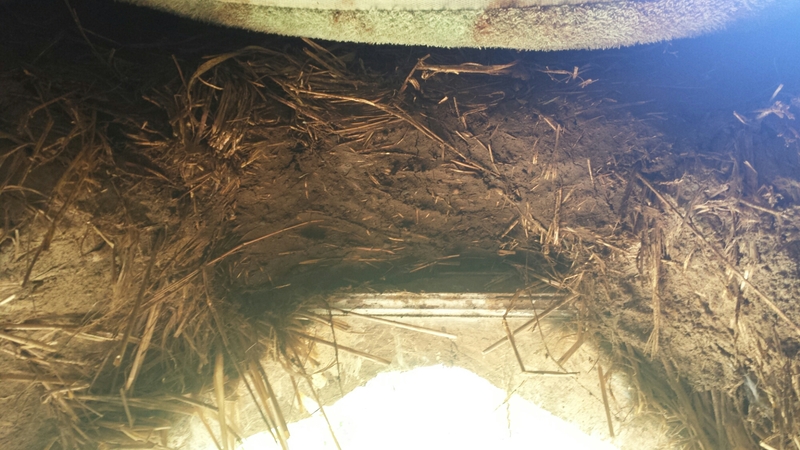 Deadmen are chunks of wood wired to the frame of the window or door and buried deep in the cob. When the walls dry, windows and doors are anchored in place with the deadmen. Over the door, you either place a lintel (a large board or round wood piece to eleviate the pressure) or create an arch over the frame. 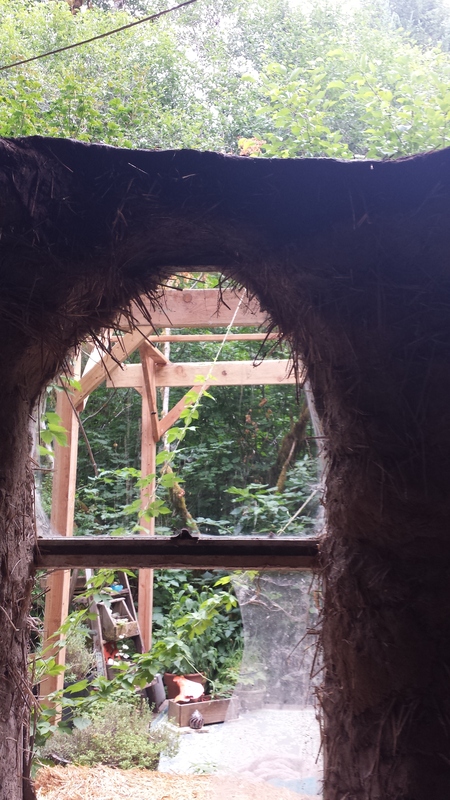 We will have three tall arched windows and a window over the door cobbed in an arch. Batch by batch, the walls go up. 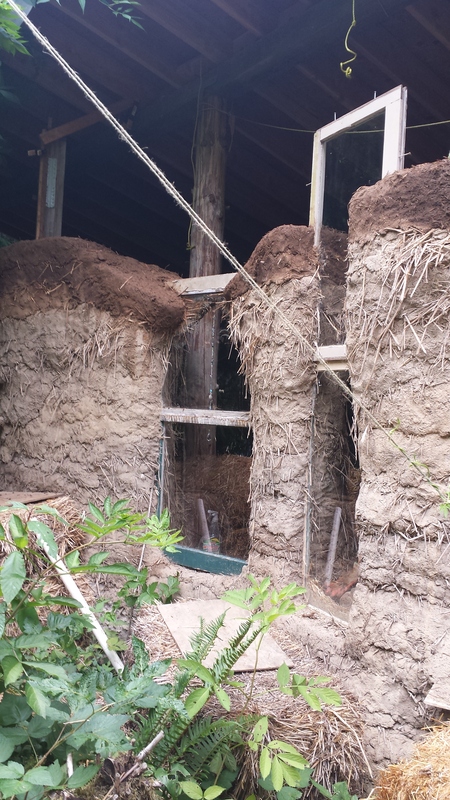 The thick clay makes the cob site the coolest place to hang on a hot day.